As BBC Radio 4 reminded us all this morning, this is the 1600th anniversary of the sack of Rome. 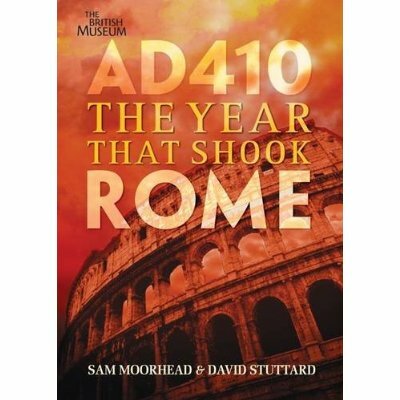 I fear that in the past I may have failed to mention the excellent ‘AD410: The Year that Shook Rome’, by Sam Moorhead and David Stuttard. So I’m mentioning it today. It’s the useful sort of history book : the kind that’s written in an engaging manner, that actually explains what happened, and that doesn’t assume vast amounts of prior knowledge. It also has some great pictures. However, I don’t think we’ll be seeing the events of the fifth century through the eyes of Ruso and Tilla, unless you plan to make them immortal or give them access to a time machine. It’s within the awesome powers of an author to do either, but I’m not holding my breath.